Editor's note: Several corrections have been made to this report since its initial publication. It now correctly reflects comments by Judge Robert Gerber during a Feb. 17 hearing, correctly reflects that Gerber said in 2009 that GM can be sued over vehicles made by Old GM under some exceptions, corrects the amount reserved by GM for compensation claims and removes a reference to victim settlements with Old GM. NEW YORK (Bloomberg) -- A bankruptcy judge told General Motors six years ago it didn’t have to worry about lawsuits over cars made before its $49.5 billion government bailout. Last month, the same judge said he wasn’t so sure anymore. U.S. Bankruptcy Judge Robert Gerber expressed doubts about his decision, saying it might allow GM to get away with alleged misconduct tied to an ignition switch defect in some cars. GM may have acted “very badly” in delaying recalls of cars it knew might be dangerous, Gerber said at a hearing in New York on Feb. 17. Gerber said at the hearing that if someone “blew it” in 2009, a judge would look to “fix the problem” rather than assign blame. “It’s rare for a judge to admit he might have made an error,” said Chip Bowles, a bankruptcy lawyer at Bingham Greenebaum Doll LLP who isn’t involved in any GM cases. At least 74 people were killed when GM cars suddenly turned off after the ignition was jostled. More than 2.59 million vehicles have been recalled for just one type of switch defect. Affected car owners who weren’t injured sued GM, seeking compensation for their vehicles’ loss in value. If Gerber rules bankruptcy doesn’t protect GM from such value claims for cars made before 2009, GM may face as much as $10 billion in potential liability over the scandal, plaintiff lawyers have said. One analyst said costs could reach a more conservative $7 billion. GM had about $28 billion in cash at year-end. In March, the company announced a $5 billion share buyback. In 2009, Gerber said GM couldn’t be sued over cars made by its defunct predecessor, known as Old GM, with some exceptions. At the hearing last month, he said maybe he should have ruled that “people couldn’t sue based on anything” GM had done before bankruptcy, but that they could sue if the company that emerged failed to warn them about what Old GM had done. “New GM” should have warned car owners that, when the ignition switches were jarred, their vehicles could stall and their air bags might not work, plaintiffs lawyers claimed. Gerber said that he is considering ruling that, while drivers can sue on that claim, they can’t demand money for a defective switch the new company didn’t make. The judge said his 2009 ruling gives New GM a “get out of jail free card,” even if Old GM knowingly installed a bad switch. While most of the drivers awaiting Gerber’s ruling are suing over car value, more than 30 lawsuits have been filed over accidents. Texas lawyer Bob Hilliard said in an e-mail that a fatal accident might cost GM $3 million to $5 million. Hilliard represents 140 accident victims. The company has reserved $400 million for compensating certain switch accident victims. GM had said the figure could rise to as high as $600 million. “Reserves are established for matters in which we believe that losses are probable and can be reasonably estimated, which isn’t the case with the ignition-switch litigation,” James Cain, a GM spokesman, said in an e-mail. Drivers still have to prove GM is to blame, even if the judge lets their cases proceed, he said. “And we believe we have valid legal and factual defenses,” Cain said. 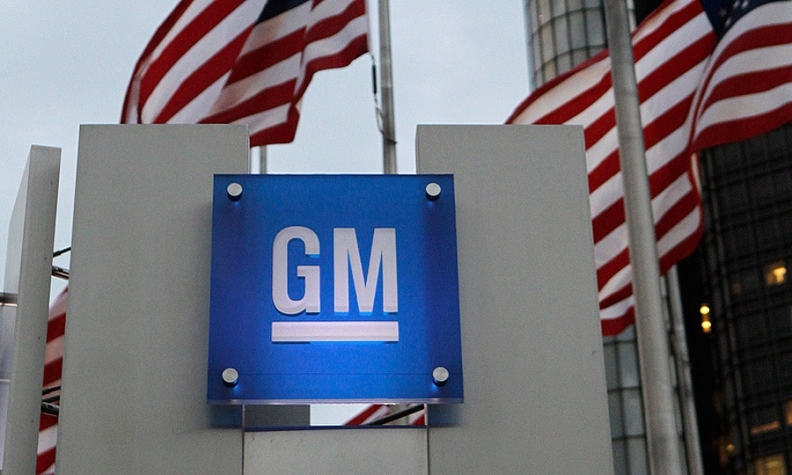 Ignition-switch suits and fines might cost GM more than $7 billion “if the U.S. bankruptcy court amends GM’s bankruptcy shield for vehicles manufactured under old GM,” Morningstar Inc. analyst David Whiston has estimated. Toyota Motor Corp. paid $1.2 billion to settle a U.S. probe into sudden unintended acceleration and $1.6 billion to drivers suing over car prices. The first accident suit Toyota lost was settled just before a jury was to discuss punitive damages, and the Japanese carmaker said this month that it had resolved or agreed to resolve 289 other death and injury suits. The drivers have asked Gerber to rule they may sue GM, claiming that in 2009 the automaker didn’t follow his orders or, alternatively, broke bankruptcy law. The law mandates that you tell everyone with a claim they can come to court and object to a bailout plan. GM should have written to tell them about the hearing on barring lawsuits in 2009, the drivers said. Accident victims say the automaker should have sent them recall notices the minute it was resurrected six years ago. The company denies it knew enough about the faulty switches to issue a recall back then. Most cars were fine, and motorists who did have problems could have found notices of the hearings in the newspapers, lawyer Arthur Steinberg of King & Spalding LLP told Gerber.